Exclusive NEW Breakthrough in treatment of active acne as well as acne scarring by targetting where acne starts… in the sebaceous glands. The Solihull medical Cosmetic Clinic under the supervision of leading skin specialist Dr Victor Sagoo is set to become a national Acne and Rosacea Association UK (ARA UK) accredited treatment centre for acne and rosacea by President and Founder, Professor Tony Chu. 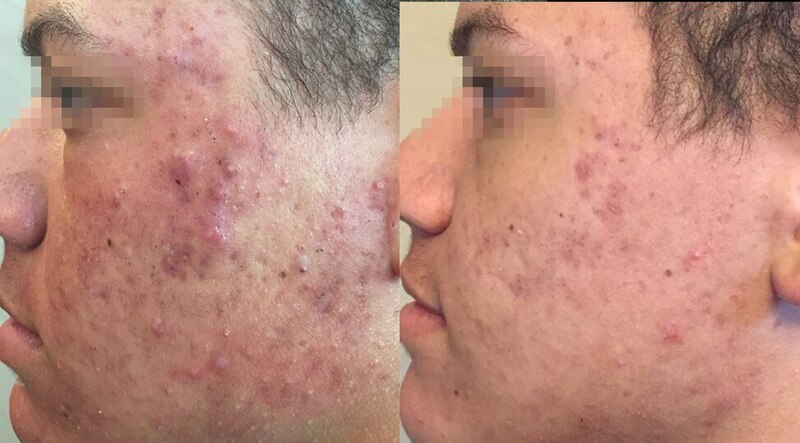 The clinic is the first and currently only clinic in the UK to offer this treatment specifically for active acne, and may significantly improve moderate to severe active acne as well as acne scarring at the same time by targeting and suppressing the over active oil producing glands (sebaceous glands ) which cause active acne under the skin. The treatment is safe in all skin types including Asian and black skin. The treatment is called Fractora Active. The treatment Fractora uses radio frequency technology, and aims to heat and destroy the sebaceous glands as well as stimulate collagen. This may lead to significant long term improvements in acne vulgaris after a few treatments. No other treatment in the market specifically targets oil producing glands in this way and it is safe in all skin types from white to dark skin. Fractionated RF energy found in Fractora Active has been shown in scientific studies to reduce wrinkles. 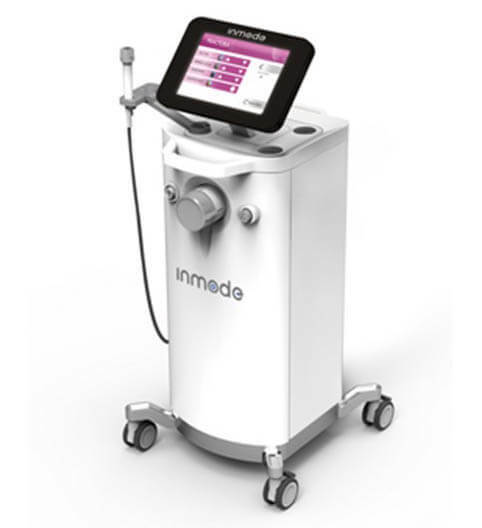 It is minimally invasive, using a matrix of micro-pins with the goal of resurfacing and restoring the skin, and may provide exceptional results with minimal patient downtime. 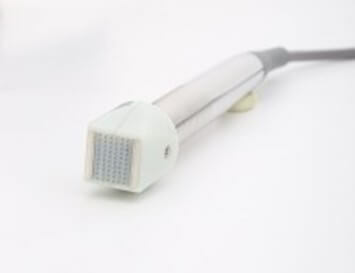 Fractora Active delivers targeted bipolar RF energy to various selectable depths in the skin. 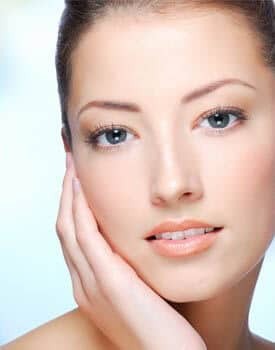 Fractora is the most advanced fractional radio-frequency treatment, and may provide anti-aging improvements on skin tone and texture for a more radiant appearance through ablation and skin resurfacing. 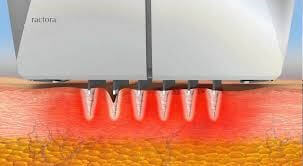 Fractora Active delivers RF energy to the skin through an array of pins, producing localized heat and small micro-lesion dots in the treatment area. These micro needles will go deep, with the goal being to heat and destroy the sebaceous (oil producing) glands. The pins in the sub dermal tissue may promote collagen restructuring, for skin rejuvenation and an improved appearance in the skin. The result is that the active acne may significantly calm down, which may lead to long lasting improvement in the acne skin condition. 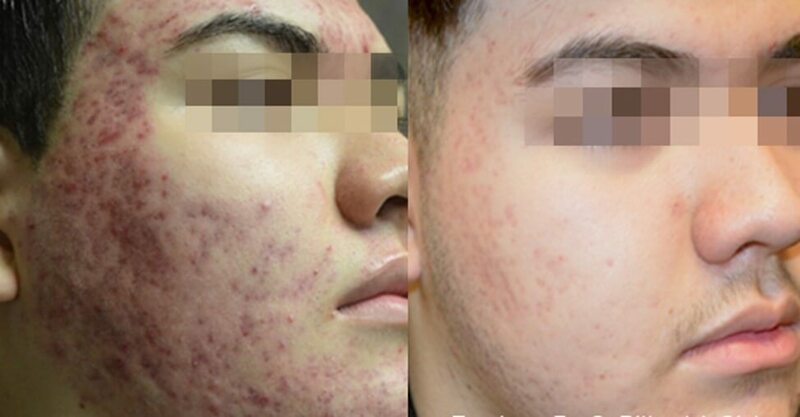 A study carried out on 8 patients with moderate to severe acne and different skin types and scarring over 2 year follow up showed that all 8 patients demonstrated significant improvement of acne lesions, acne scarring, pores and skin texture. The results improved further with time. 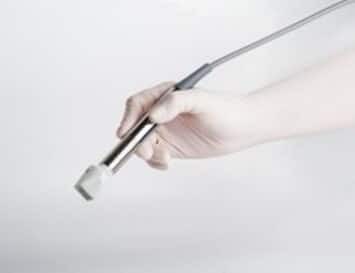 The conclusion of the study was that fractional radio frequency is a safe and effective treatment modality for active acne and acne related scars with long term improvement by targeting overactive sebaceous glands. For further information on this exclusive first in UK treatment for active acne please contact the clinic on 0845 603 6150.